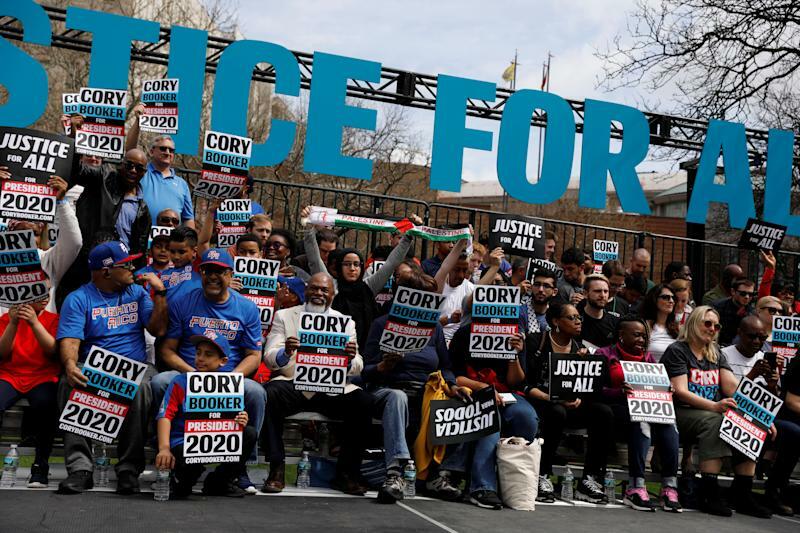 The event was the launch of a two-week “Justice for All” tour in the city where he served as mayor from 2006 until 2013. Booker has framed his campaign around an emotional and optimistic pitch to voters. He maintained that tone as he outlined some of his core policies, including lowering the age of Medicare eligibility and establishing a “baby bonds” program to provide low-income children with a nest egg when they reach adulthood. “You say ‘Justice For All’ and he named, you know, clean water, housing, affordable health care, freedom but he doesn’t ... talk about Palestine. They’re struggling just as much as us here — even more,” Wajeeh Abushawish, who was part of the group, said. Abushawish said the protesters attend Rutgers Newark and are part of a group called Students for Justice in Palestine and the school’s college Democrats chapter. 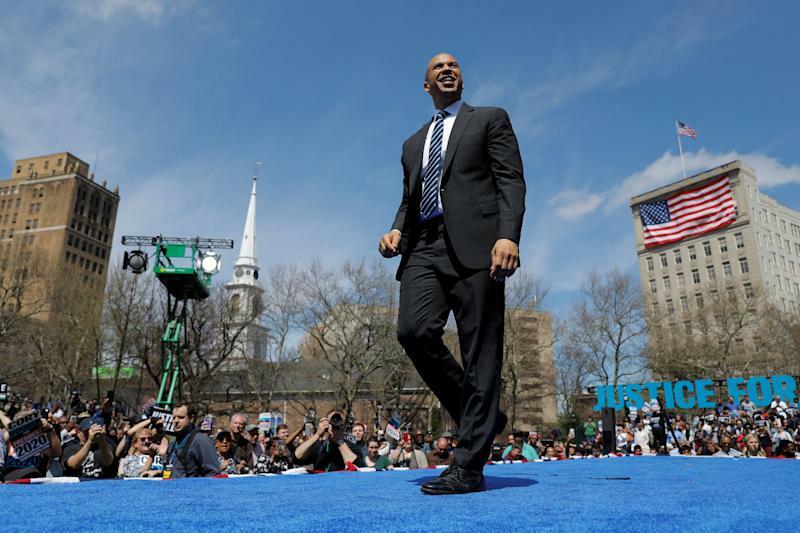 Booker has angered some pro-Palestinian activists by his staunch support for Israel. He is a co-sponsor of a Senate bill intended to combat the Boycott, Disinvestment, Sanctions (BDS) movement that aims to put economic pressure on Israel to end its occupation of territory claimed by Palestinians. A source with Booker’s campaign told Yahoo News he met with some of the protesters following the event to discuss their concerns. Booker did not address the protesters during their interruption. Later in his speech, however, he encouraged Democrats to “fight from higher ground” as they take on President Trump.